If burger remind you about America, pizza is symbolized for Italy and sushi is specialty of Japan; then Pho is a synonymous dish with Vietnam. 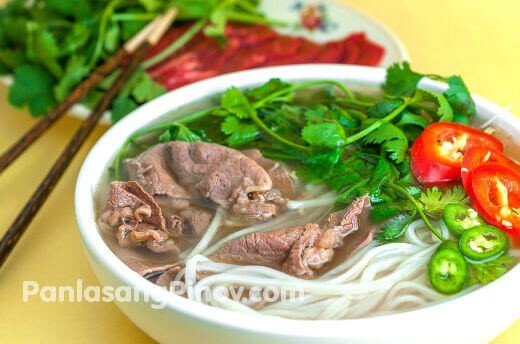 Whenever anyone say Pho, people always know it is a traditional food of Vietnam. Pho has become famous worldwide due to its taste and a travel to Vietnam without sample a bowl of Pho will be an incomplete journey. If you are an expat coming to Vietnam, just ask any locals about a Pho (or called fur) restaurant, they will show you the best one in their neighborhood. In Vietnam, Pho is eaten for breakfast, lunch and dinner; from a luxury restaurant to a street vendor with makeshift plastic tables. Although Pho is originally a Northern Vietnamese dish, it is now a ubiquitous part of Vietnamese’s culinary experience. And from time to time, Pho is made different from North to South, depends on the local taste. Despite sounding like an android from outer space, Pho 2000 will forever be remembered as the place where President Bill Clinton tried his first bowl of pho in Vietnam during his state visit in the year 2000. He was so taken with the delicious beef marrow broth and glutinous noodles that he ordered a second bowl — or so the story goes. The fresh spring rolls are also excellent at Pho 2000 and together with your pho noodles can turn a tasty snack into a full meal. 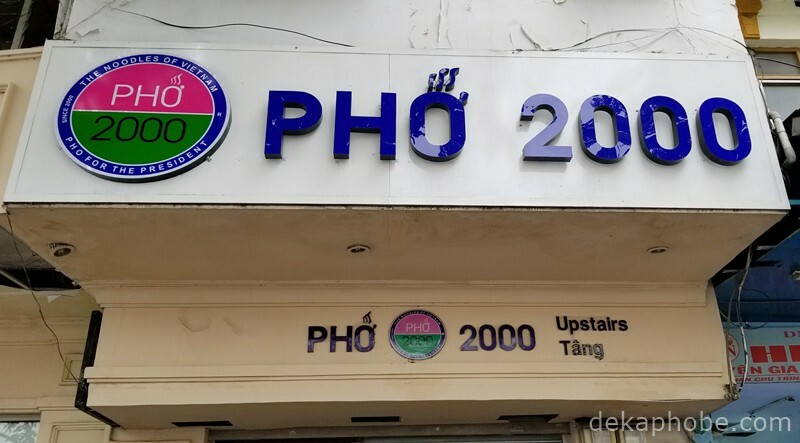 Pho 2000 is very close to Ben Thanh Market, so it makes sense to use this famed pho restaurant as a place to take a break from shopping and cool off. English is widely spoken here too, making ordering a hassle-free experience. Location: 1–3D Phan Chu Trinh, District 1. If famous guests and English menus sound too mainstream for you then this ageing shophouse surrounded by parked motorbikes is where you need to go. Pho Bo Vien Thap Cam (which is also the name of the dish) offers a limited number of options to an almost exclusively Vietnamese customer base. They serve pho with both beef and chicken, which are hanging in a steel display cabinet at the entrance to the restaurant. Despite its less than immaculate appearance, bowls and cutlery appear clean and the taste is simply superb. The broth is rich and flavorsome and there are many condiments to season the dish according to your tastes. We especially recommend the beef pho — the recipe from which the restaurant takes its name. Even though it is in District 1, this small shophouse is quite difficult to find, close to where Le Cong Kieu branches off from Nguyen Thai Binh. From the main tourist centre, it is just south of Ham Ngai, the busy main road starting at Ben Thanh Market. Location: Nguyen Thai Binh, District 1. 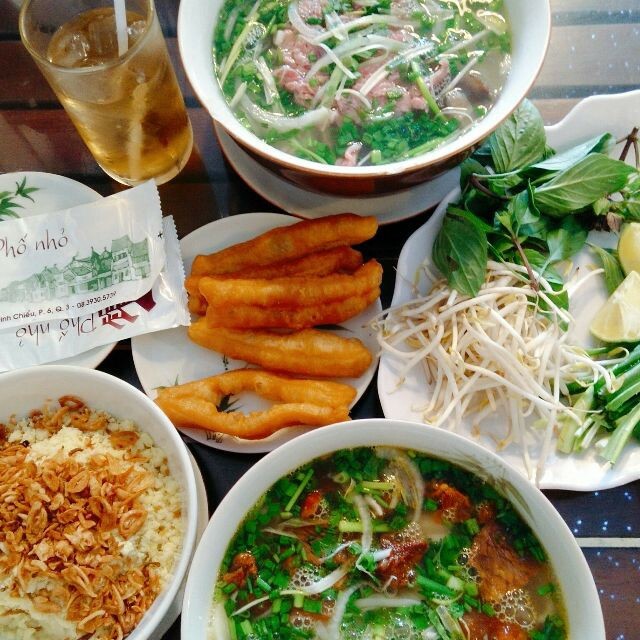 A restaurant with a long legacy, Pho Hoa consistently ranks as one of the best places to sample Vietnam’s most popular noodle soup. Pho Hoa Restaurant has been run by successive generations of the same family which adds a little history to your meal. The broth recipe here is a family secret which helps create a little mystique around the flavors. Served with your bowl of pho is a plate of deep-fried bread called quay. This bread is actually of Chinese origin, but it is finding favor as a daytime side dish. Our favorite option here is the pho with beef tendon, which is chewy and succulent. Pho Hoa is on Pasteur Street in District 1, with two floors and air-conditioning upstairs. Location: 260C Pasteur Street, District 1. I know, I know, franchises aren’t the coolest places to try, but don’t think this chain is the equivalent of KFC because actually Pho 24 is healthy, nutritious and a great option for first time visitors that want to try street food but are unsure of eating by the side of the road. The name refers to the amount of ingredients that go into cooking each bowl, so you know there are many complex aromas with every bite. The broth here is subtly flavored with lemongrass and the bitter herbs work well with soft, sliced chicken or cubes of beef brisket. There are many branches of Pho 24 all over Ho Chi Minh, usually within sight of famous tourist sites such as Notre Dame Cathedral and Ben Thanh Market. 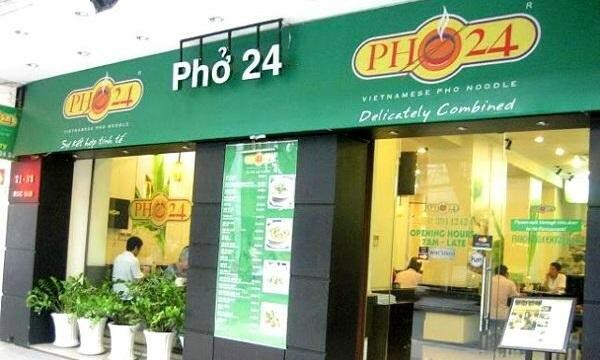 There are also Pho 24 franchises in America, Australia, The Philippines and several other countries meaning you can enjoy the flavors of Vietnam once you return home. Location: Nguyen Du Street, District 1 (in front of Notre Dame Cathedral). 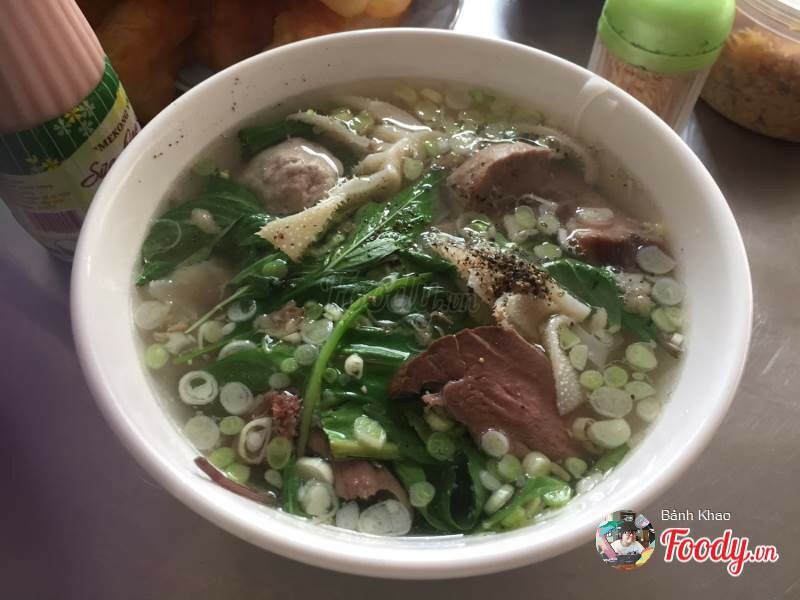 Pho Thin Ha Noi is just one block away from Turtle Lake roundabout in District 3 and gives visitors to Ho Chi Minh the chance to sample the original, northern style of pho. This pho is served with fewer condiments and lets the flavors of the broth carry the dish with only scallions sprinkled on top as a garnish. This pho restaurant is a particular favorite with office workers looking for a quick, nutritious — and most of all, delicious — lunch. With that in mind, it can get very busy in here around midday, but sometimes that is a bonus for visitors who love to see how locals act in their day to day life. 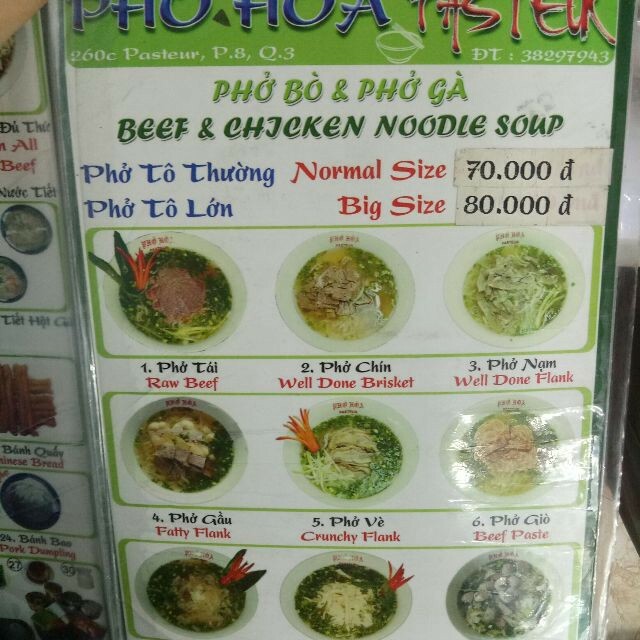 If you are looking for a restaurant serving the northern style of Pho in Ho Chi Minh, we definitely recommend Pho Thin Ha Noi. Location: 170 Nguyen Dinh Chieu, District 3.